Check out the latest sickcast on our YouTube channel! 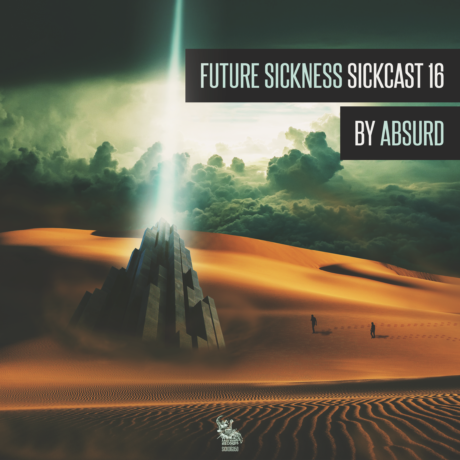 Absurd mixed the next sickcast to promote his upcoming 'Bear The Strain EP' on Future Sickness. Bear The Strain EP by Absurd is available for pre-order now! Check out the 'Bear The Strain EP' trailer! Russia strikes back with this insane drum n core EP on Future Sickness Rage! We just uploaded the whole Oculus EP forthcoming on our sublabel 'Future Sickness Rage'. Check it out! Max Shade returns on Future Sickness with his 'Chaos EP'. 2 pure rolling drum n bass tracks that have been proving to be excellent dancefloor bangers!